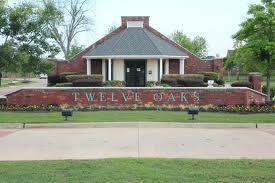 Twelve Oaks is a perfectly situated suburban neighborhood in popular southeast Shreveport. This 400-acre community connects to highway 3123, Bert Koons, and I-49, providing ideal access to the rest of the city. Neo-eclectic homes located in this master-planned community are subdivided into five different sections, each with different covenants and layouts. This offers many choices for living all within the same location. Another part of the plan includes a small shopping area for residents adjacent to the front gate adding even more appeal to the thriving area. Twelve Oaks is only minutes away from Shreveport best shopping centers such as Bayou Walk and University Plaza, and two first class hospitals, Willis-Knighton Pierremont and Schumpert Highland. The school district is also one of the best in Shreveport. There is a neighborhood clubhouse available for residents to use plus a very nice pool and patio area. There are also running and walking paths, park areas with swing sets, and access to a bike trail as well. Amenities such as these ensure that families will always have something to do not far from their homes. For people wanting to live in southeast Shreveport with a variety of suburban options, Twelve Oaks is neighborhood not to be missed.